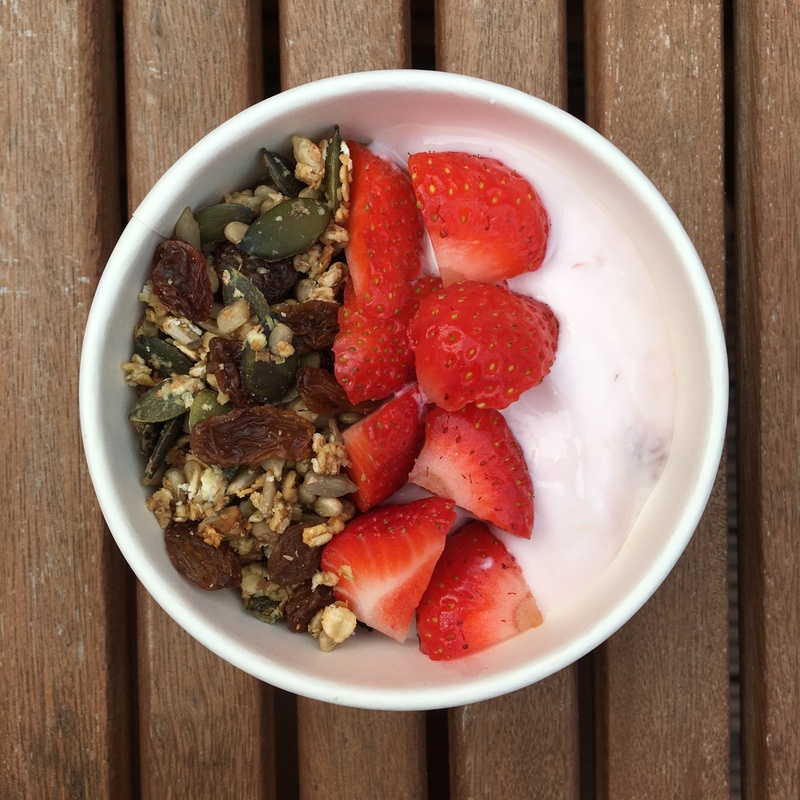 What I like about my granola recipe (if you don’t mind me saying!) is it contains NO nuts (I’m not allergic, I’m just not a fan) and it hits a slightly sweet craving spot without being *too* naughty. Here we go, in 8 simple steps..
1 – Preheat oven to 180 degrees and grease an oven dish (ideally with coconut oil). 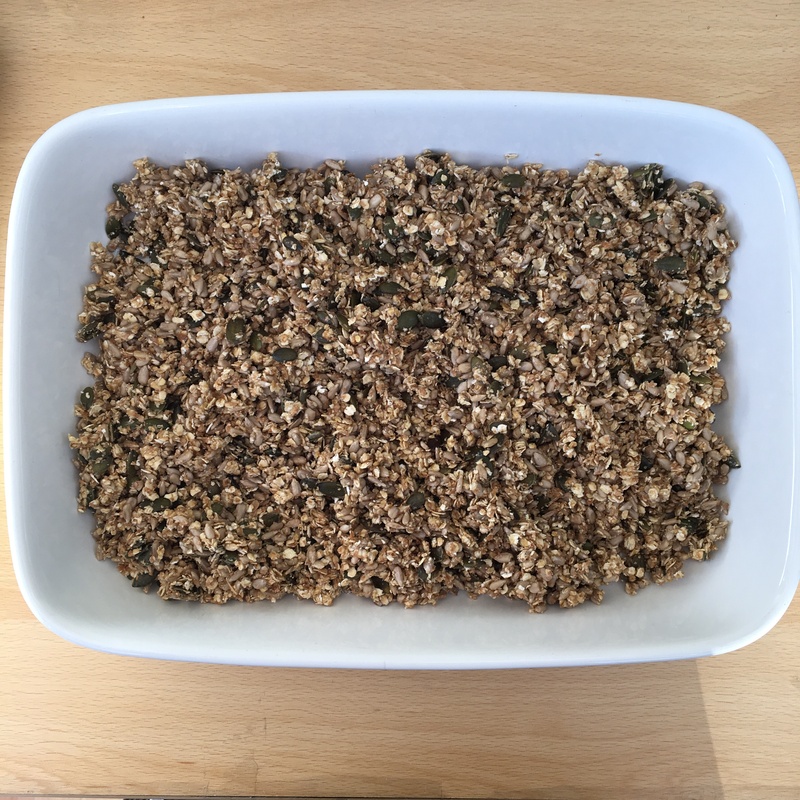 2 – Mix the oats and seeds in a bowl. 3 – In a blender mix the banana with a VERY generous squeeze of maple syrup. 4 – Stir the wet mixture in to the dry mixture (if you don’t like banana then perhaps experiment maybe with some almond milk and blended prunes? Something that will add sweetness and moistness to the mix!!). 5 – Place the mixture in to your oven dish and bake for 15-20 minutes, stirring half way through. 6 – So long as your mixture has turned slightly darker in colour and feels slightly crisp in texture then it’s ready! 7 – Allow to cool before stirring in your sultanas. 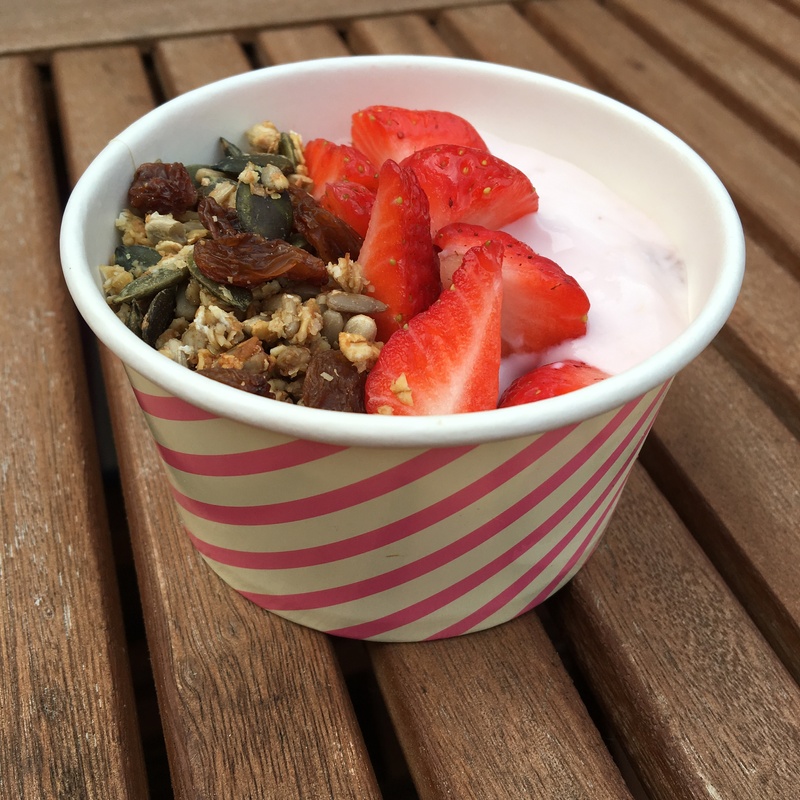 8 – Store your granola in an air tight container and help yourself to breakfast for days to come. This mixture will last for weeks! Enjoy with your milk (of choice) or with yoghurt (my favourite choice!). Adding some fresh fruit such as banana, strawberries or mango is yummy, filling and of course nutritional. Or why not make granola bars? Simply add an egg white (and your sultanas) to your mixture (before putting in the oven) to stick it all together, for you to then cut in to squares once baked! 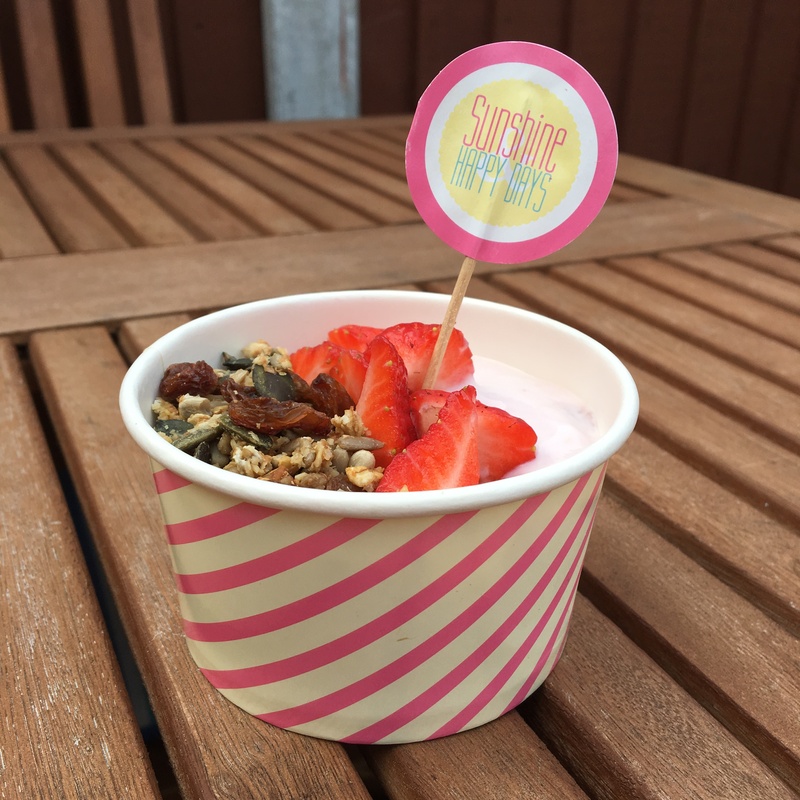 Breakfast on the go! Freezable too! Boom!